For those who wish to stream animated Mega Man content on-the-go, you’re in luck. That is, if you're a Nokia subscriber. The Anime Network and ZooVision have partnered to produced "Mega Man TV", a mobile app designed specifically to stream full-length Mega Man content on your Nokia device of choice. 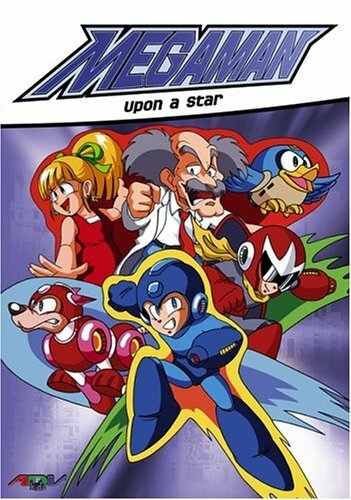 For a mere $4.99, you'll have on-the-go access to the Mega Man original video animation “Upon a Star" in its entirety. What's more, the app comes with some special mobile Mega Man wallpapers and themes. The app itself takes up no more than 0.59 MB, with storage space predominantly reserved for optional content. WiFi and/or 3G connection is required. Anime Network also currently holds the distribution rights to the Ruby-Spears Mega Man cartoon, and while there's little indication the show will make the jump to Mega Man TV, it's a possibility. Because really; how convenient would it be to have a single outlet just for streaming Mega Man television shows? That's pretty awesome. Grab your Nokia device of choice and download the app here. It'd be nice if this kind of app was available on iOS. I wonder if they'll make an Android version? Or a WP7 version? ... Okay, now I've covered the rest of the bases. I THINK. Wow, something my SmartTalk Smartphone can do, being a Nokia!? AWESOME. Granted, that would be feeding Capcom, which I refuse to do. "Upon a Star" is an OVA which you can watch online, although it's still cool that you can just download those episodes. @Amir It is. Just search for Mega Man Anime Network and there you go. It's 2.99, but at least you can see it!